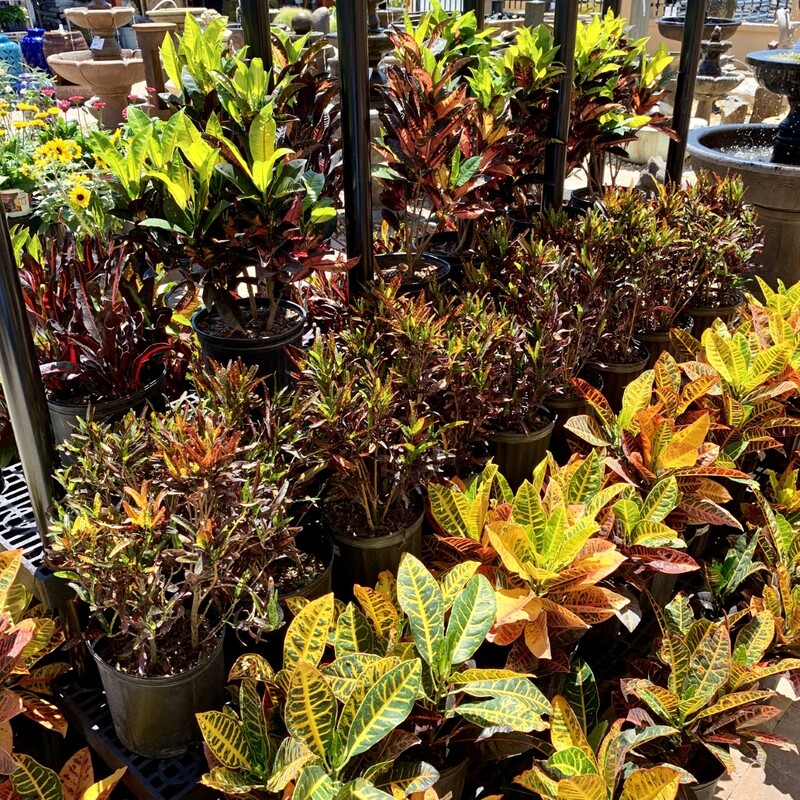 Known for their bold, tropical foliage, crotons are vibrant perennial evergreen shrubs. 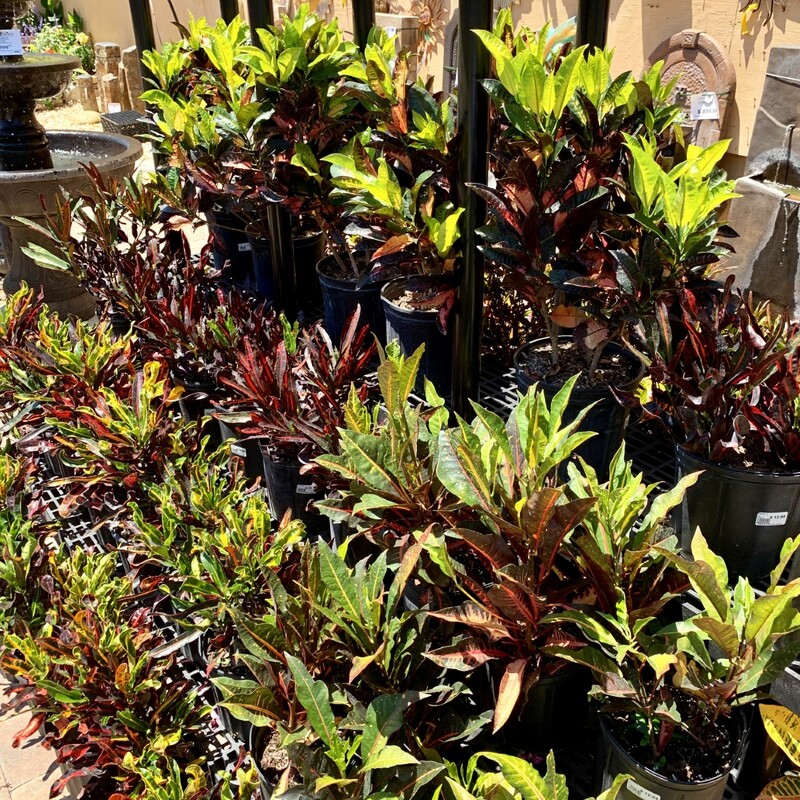 They are typically grown for their eye-pleasing marked leaves; crotons come in a wide variety of leaf shapes and colors which include red, orange, yellow, and green. They are very durable growers in our area and do well in full sun or full shade. They are stunning as a stand alone shrub or grouped together. We recommend fertilizing with Espoma Organic Plant-Tone for best results. Come into Driftwood today for this exclusive deal, and Experience the Difference! While supplies last – cash & carry only – no other discounts apply. Not valid on prior purchases – selection may vary by store.